On October 7th, Reuters headlined,«Iraq Leans Toward Russia in War on Islamic State», and reported, from Baghdad, that, «Iraq… wants Moscow to have a bigger role than the United States in the war against the militant group, the head of parliament’s defense and security committee said on Wednesday». Earlier, in an interview in English, with Iraqi Prime Minister Haider al-Abadi, telecast on October 2nd, France24 TV asked him how he would view an extension of Russia’s anti-ISIS bombing campaign into Iraq, and he said (7:54), «I would welcome it». This isn’t merely a culmination of U.S. President George W. Bush’s overthrow of Iraq’s leader Saddam Hussein in 2003 — an event twelve years back, and so this is a twelve-year culmination on that count alone — but it is also an unequivocal statement from the majority-Shiite nation of Iraq, that the U.S. is too heavily committed to the rabidly fundamentalist Sunni royal family of Saudi Arabia (whoprovide the overwheling bulk of the funding for Al Qaeda and other jihadist movements), to be willing to do what must be done in order to defeat in Iraq the Sunni extremists who have destroyed Iraq, and who are nowpossibly turning Iraq into a failed state, like Libya has become after NATO’s bombing campaign there in 2011. The Reuters report went on: «‘In the upcoming few days or weeks, I think Iraq will be forced to ask Russia to launch air strikes [in Iraq], and that depends on their success in Syria,’ Hakim al-Zamili, a leading Shi’ite politician, told Reuters in an interview… ‘We are seeking to see Russia have a bigger role in Iraq… Yes, definitely a bigger role than the Americans,’ Zamili said». Committee Chairman MP Hakim Zamili said in a press conference at the House of Representatives… «Our armed forces, volunteer fighters, Peshmerga and tribesmen have achieved victories against the ISIS organization in all operations», noting that, «Meanwhile, we keep finding documents, pictures, and information confirming that the coalition aircrafts violate the Iraqi sovereignty and the international norms in order to prolong the war with ISIS by providing it with aid by air or on land». «We have been receiving this information continuously from many sources, documented in photos and reports to prove that the planes did land at some airports in Mosul, Tal Afar, Al Kiara, and Araf Lahib areas in Kara Tepeh in Diyala and Yathrib, in addition to Dhuluiya village, Fallujah Stadium in Anbar desert», Zamili stated. «The monitoring reports and available photos show ammunition, weapons and supplies being delivered by parachutes», he added. Already on 20 January 2015, the astute Michael Snyder had managed to lay out the case that, «We have the most sophisticated military on the entire planet and yet we drop weapons into the hands of the enemy by mistake? Come on». The United States Government, which had invaded Iraq and killed its former leader, Saddam Hussein, blames the success of ISIS in Iraq, on the failures of Iraqis. Not at all on anything that’s wrong with U.S. operations — not even on the ‘errors’ in dropping weapons into ISIS territory. But, America had created ISIS; Iraqis had not. Saddam Hussein had prevented ISIS; he blocked all jihadists from operating in Iraq — they all wanted to overthrow him. ISIS had not even existed prior to 2006 (three years after the U.S. invasion), when it was started by Abu Musab al-Zarqawi and Sbu Ayyub al-Masri. (Zarqawi was Jordanian; Masri was Egyptian. There was also a fictitious third founder, Abu Omar al Baghdadi, in order to provide a mythological Iraqi root to this ‘Iraqi’ — actually Saudi — political ‘movement’). According to the Washington Post, Zarqawi «served as Osama bin Laden’s proxy in Iraq, attracting hundreds if not thousands of foreign fighters under the al-Qaeda banner». Of course, the Saudi royals had co-founded al-Qaeda (working through the CIA and Osama bin Laden) in order to defeat the pro-Russian Afghan government of Nur Muhammad Taraki back in 1979. (Russia is perhaps Saudi Arabia’s chief competitor in international oil-and-gas markets; the U.S.-Saudi alliance is an anti-Russian alliance.) And, so, the Saudi royals massively fund the jihadist movement (the same movement that finally expelled Russia from Afghanistan), which the U.S. secretly supplies. This ‘Western’ support of Sunni extremists is antagonizing Shiites in the predominantly Shiite nation of Iraq. The Iraqi public are now the angriest and almost saddest of any nation on Earth.) 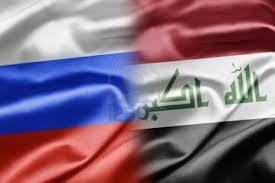 Therefore, Zamili has publicly invited Russia into Iraq, and invited America out of Iraq. America in Iraq was even more disastrous than America in Iran had been. Although Zamili is Shiite, and Saddam was a nominal Sunni but actually committed to keeping religion out of politics altogether, Zamili is facing the same enemy that Saddam did, which is the U.S.-Saudi alliance. A few months later [in 1978], Saddam delivered a speech in which he vehemently rejected calls for compromising the [Ba’th] Party’s staunch secularism as a means of accommodating the growing Islamic sentiments. «What we must do», he argued, «is to oppose the Revolution’s intrusion into religion. Let us return to the roots of our religion, glorifying them — but not introduce it into politics». One of the reasons why Saddam loathed the Shiite fanatics who were rooted in Iran and who took over there in 1979 (after America’s dictatorship under the Shah ended) was that they were fundamentalists. He was at war against all fundamentalists, of all faiths. The only difference between Shiite fundamentalists and Sunni fundamentalists is that only the Sunni fundamentalists believe in ‘restoring’ ‘the Caliphate’ — a potentially global Islamic empire, so that everyone in the world will bow down in the direction of Mecca, Saudi Arabia. For a Shiite to suppport that worldwide Islamic government would be equivalent to that person’s converting to the Saudi version of Islam, especially its Wahhabist or Salafist form, which is the royal family’s form. An Iraq that has moved more firmly into the Iranian camp is moving toward Russia and away from the United States; and that’s today’s Iraq. On 24 May 2015, U.S. Secretary of Defense Ashton Carter, said, «Iraqi forces showed no will to fight», though they «vastly outnumbered the opposing force». Obama was now openly contemptuous of the Iraqi people. However, on both sides (U.S. and Iraq), the heads of state were not talking publicly about the crumbling relations. So, now, Iraq is, in fact, turning to Russia, which U.S. President Barack Obama has in his second term been treating as America’s main enemy (despite having campaigned for President against Mitt Romney’s calling Russia «our number one geopolitical foe»). He calls Russia the main aggressor in the world for its having accepted the results of the Crimean referendum to switch from Ukraine to Russia. On September 25th, Fox News issued an exclusive news report headlined, «Russians, Syrians and Iranians setting up military coordination cell in Baghdad»; and, instead of denying it, Russia’s Sputnik News simply bannered,«Russia, Iran, Syria Reportedly Set Up Joint Center in Baghdad to Fight ISIL», and cited this Fox News report as its source. The only difference between the two articles is that Fox’s was slanted against Russia, and it presented two retired sources within the U.S. government as making the assertions (including their framing it with anti-Russian propaganda), whereas Sputnik’s version stripped out Fox’s anti-Russian propaganda and focused only on the fact, which was stated in both headlines (theirs and Fox’s). So, the only quotable sources on this allegation were the U.S. government retirees who spoke to Fox (based on their inside sources), but the Russian government transmitted the allegation — the fact itself — with no modifications, thus confirming the fact that was alleged. It’s more tactful to do it this way, instead of having heads-of-state, in Iraq, Iran, and Russia, step in and proclaim publicly that the American Century is over. Ashton Carter was equally arrogant about Russia. On October 7th, the Wall Street Journal bannered, «U.S. Rules Out Strategic Collaboration With Moscow in Middle East», and quoted Carter as saying: «We are not prepared to cooperate in strategy which, as we explained, is flawed, tragically flawed, on the Russians’ part. The U.S. is not cooperating with Russia in that regard». Insulting Iraqis wasn’t enough. Russian officials weren’t speaking in similarly contemptuous language about the U.S., as U.S. officials were speaking about Russia — and also about Iraq. It seemed that U.S. bullies were peevishly responding to getting trounced by a party (Russia) they constantly assaulted but couldn’t even get a rise out of. Tyranny that enters via diplomatic means can be just as tyrannous, though perhaps less destructive, than one which enters via nuclear war (the end-point that Putin’s tactics thus far seem to be successful at averting — but, given his peevish opponents, might not be able to continue doing so).